We're Adding New Land Auctions everyday! Alaska Land Auctions 7 Parcels of Alaska Land are being Auctioned! Arizona Land Auctions 1 Parcel of Arizona Land is being Auctioned! Arkansas Land Auctions 1 Parcel of Arkansas Land is being Auctioned! California Land Auctions 33 Parcels of California Land are being Auctioned! Colorado Land Auctions 86 Parcels of Colorado Land are being Auctioned! Florida Land Auctions 18 Parcels of Florida Land are being Auctioned! Georgia Land Auctions 3 Parcels of Georgia Land are being Auctioned! Kentucky Land Auctions 16 Parcels of Kentucky Land are being Auctioned! Missouri Land Auctions 9 Parcels of Missouri Land are being Auctioned! New Mexico Land Auctions 6 Parcels of New Mexico Land are being Auctioned! New York Land Auctions 1 Parcel of New York Land is being Auctioned! North Carolina Land Auctions 3 Parcels of North Carolina Land are being Auctioned! Oregon Land Auctions 62 Parcels of Oregon Land are being Auctioned! Pennsylvania Land Auctions 1 Parcel of Pennsylvania Land is being Auctioned! Tennessee Land Auctions 12 Parcels of Tennessee Land are being Auctioned! Texas Land Auctions 12 Parcels of Texas Land are being Auctioned! Virginia Land Auctions 1 Parcel of Virginia Land is being Auctioned! On-Line, by Phone, by Fax, or by Text Message! Build wealth by using Real Estate Leverage! Low Down-Payments are the Key! Click here for info on Self-Sufficient Homes! Log Cabins, Solar Power, and More! 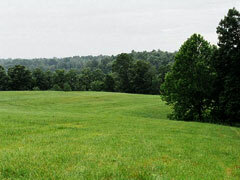 Click here to read reviews and testimonials by people who bought land at BillyLand.com! Don't miss out on new Land Investment Opportunties!